Recent highlights include critically acclaimed performances as the title role in Ravel L’enfant et les sortilèges, as Dinah in Bernstein Trouble in Tahiti and as Angelina La Cenerentola for Opera North, a return to Opera Atelier, Toronto for Dido Dido and Aeneas, Weill Seven Deadly Sins with the Real Orquesta Sinfónica de Sevilla and John Axelrod, Mercédès Carmen for Oper Frankfurt, Sesto La Clemenza di Tito and Dorabella Cosí fan tutte for the Canadian Opera Company, Olga The Merry Widow for the Metropolitan Opera, and Paquette in Bernstein Candide with the Hamburger Symphoniker conducted by Sir Jeffrey Tate. On the concert platform, recent highlights include a return to the Münchner Rundfunkorchester for Mozart Die Schuldigkeit des Ersten Gebots, a return to Koerner Hall in Toronto for a Bernstein Centenary gala, following her acclaimed performances as Anna in Weill Seven Deadly Sins with the Toronto Symphony Orchestra, Mozart Grosse Messe with the Gewandhaus Orchester and Beethoven Symphony No.9 with the National Arts Centre Orchestra in Ottawa. Giunta is a recipient of a 2013 Novick Career Advancement Grant, the Sylva Gelber Music Foundation Career Development Award, and has been supported by the Canada Council for the Arts. She is a 2013 graduate of both the Metropolitan Opera Lindemann Young Artist Development Program, and The Juilliard School’s Artist Diploma in Opera Studies and was a member of the Canadian Opera Company Ensemble Studio 2009-2011. Bernstein's Trouble in Tahiti, a five-star achievement with a dazzling performance by mezzo Wallis Giunta, young singer of the year in my books. 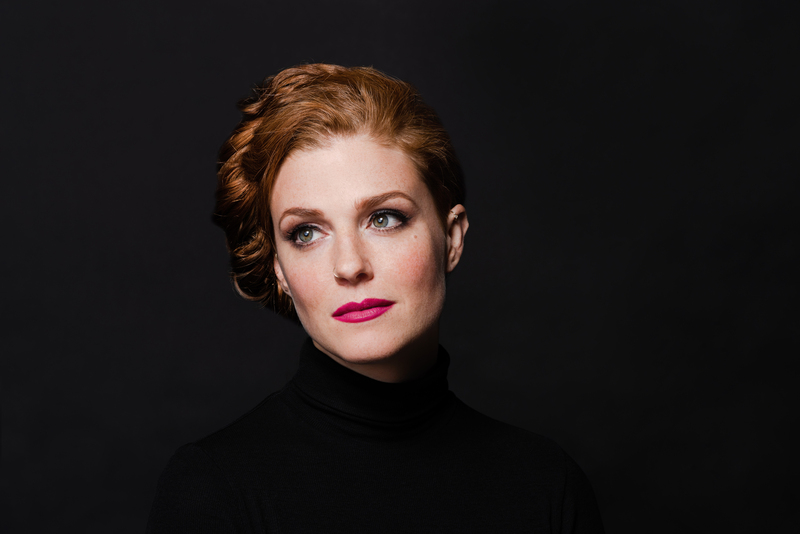 The Canadian mezzo Wallis Giunta has an incipient star quality that positively explodes with the ornamental cascades of her concluding aria, which pops the cork on a successful season like a champagne bottle that has been shaken for a very long time.